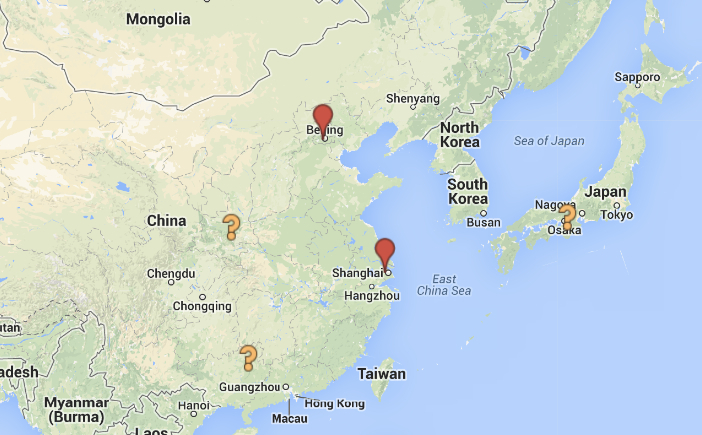 Holy Chicken Coop Batman, I’m Going to Beijing and Shanghai! | Nam Writes. Holy Chicken Coop Batman, I’m Going to Beijing and Shanghai! Yes, I just got back from Peru a couple of weeks ago. Yes, I’m a crazy person who can’t stop buying travel books (I now own more than 70). And yes, I love planning trips almost as much as I love taking them. So pretty much as soon as I got back to the U.S., I began searching for my next travel partner and destination. The advantage of working in politics is that the dead time is entirely predictable. Nothing happens in December of an election year. Nothing. So I knew I could go pretty much anywhere I wanted, so long as I could find someone to travel with and I could make the miles and points work. When my sister agreed to accompany me for a week and a half, that’s when I really went into crazy mode. We considered Argentina, Hawaii, Prague, Budapest, Berlin, and Chile. We seriously considered Hawaii because of the warm weather and the ease of staying in the U.S. But we were both somewhat daunted by the high prices and the annoyance of hopping from island to island. We considered a tour of Budapest, Prague and Berlin because of my weird obsession with Communist era history and my desire to stay in this freaking awesome hotel. And suddenly, it just became clear: We were going to China. Sure, it’s going to be cold. Maybe even freezing. But there are so many great sights between Beijing and Shanghai that excited both of us, it became a slam dunk. And to top it off, this trip will be personal for us. Our maternal grandparents escaped German-occupied Poland during World War II via Japan and then Shanghai. They were lucky enough to secure Japanese visas at the last minute and made their way to Kobe, Japan. When the Japanese realized they didn’t want a bunch of European Jews on their hands, they dumped them in Shanghai, where my grandparents lived for five years. 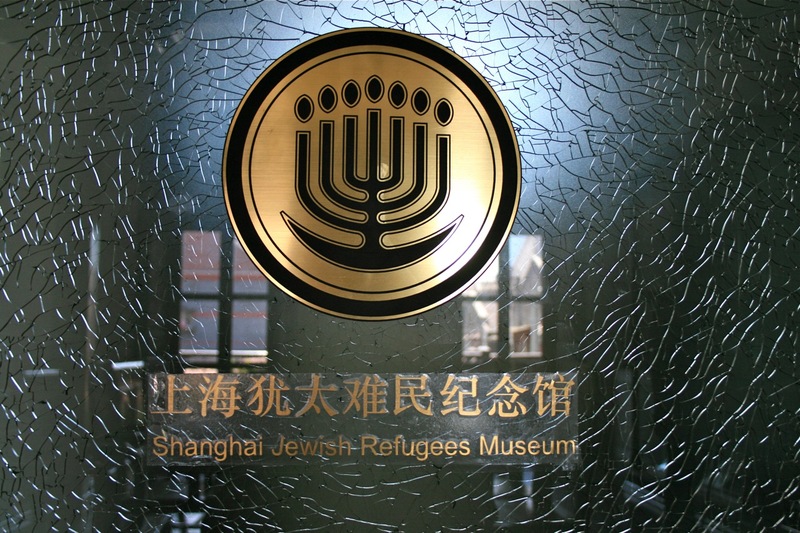 Today, much of the Jewish Ghetto in Shanghai no longer exists, but there is a museum dedicated to the community, and I’ve heard good things about the experience. Finally, being the points-obsessed person that I am, I love how many great hotel options we have to choose from. It’s a cliche, but I really do feel like a kid in a candy store. So many gorgeous hotels for so few points — how will we ever choose? Somehow, I think we will manage. Here is the challenge: My sister doesn’t want to take too many days off of work, so she will be abandoning me after a week and two days. The question is, what do I do then? Do I stick around Shanghai and just explore the city’s many neighborhoods? Do I hop a plane to Xi’an to see the Terra Cotta Warriors? 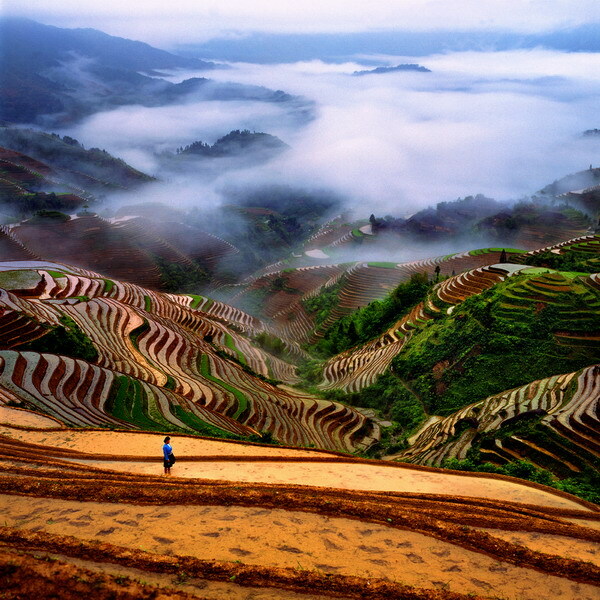 Do I hop a plane to Guilin to see the pretty karst mountains and these amazing rice terraces? I’m a little wary of exploring China’s countryside by my lonesome. Big cities I can handle solo, but I literally do not speak a word of Chinese and I’ve heard it’s not the easiest country to navigate by yourself. Another option is to hop a plane to another country on the way home. I’m considering Kyoto, Japan because it’s actually warmer than China. I considered stopping off in Europe but the inefficiency of the trip gave me pause. A nonstop flight from Shanghai to the U.S. is about 13 hours. A nonstop flight from Shanghai to Germany is 12 hours! That is nuts. If I hadn’t already been to Hong Kong, that would be an obvious choice, but I was just there in November 2013. So faithful readers, where should I go in early December? Is it too late in the year to go to alaska? Yup. And we already book our flights to Beijing.